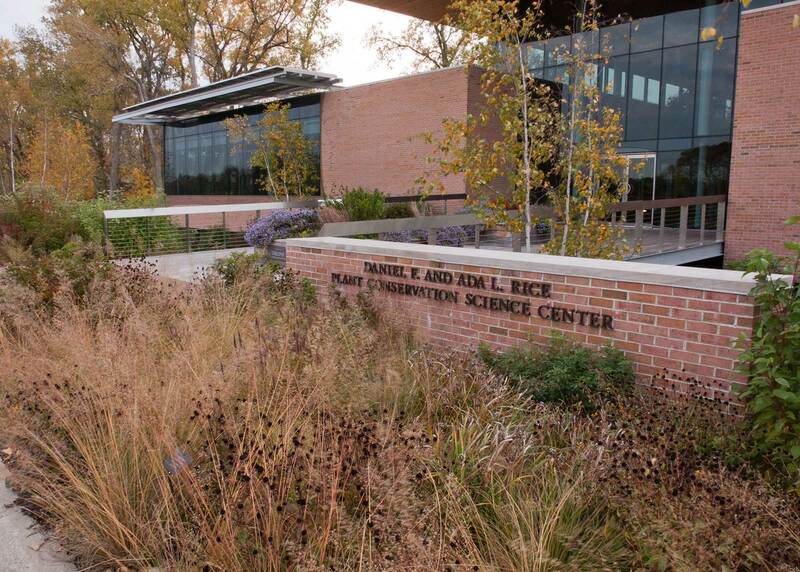 The Daniel F. and Ada L. Rice Plant Conservation Science Center is the nexus for the Garden’s plant conservation efforts. 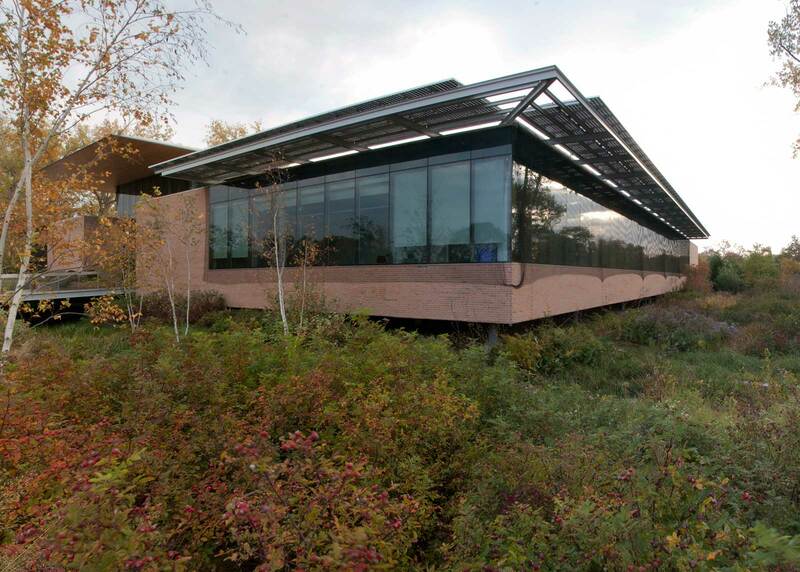 This LEED Gold facility provides classrooms, laboratories and interactive displays and is the headquarters for masters and doctoral programs in plant biology and conservation. The five-acre site was conceived as a model sustainable system. 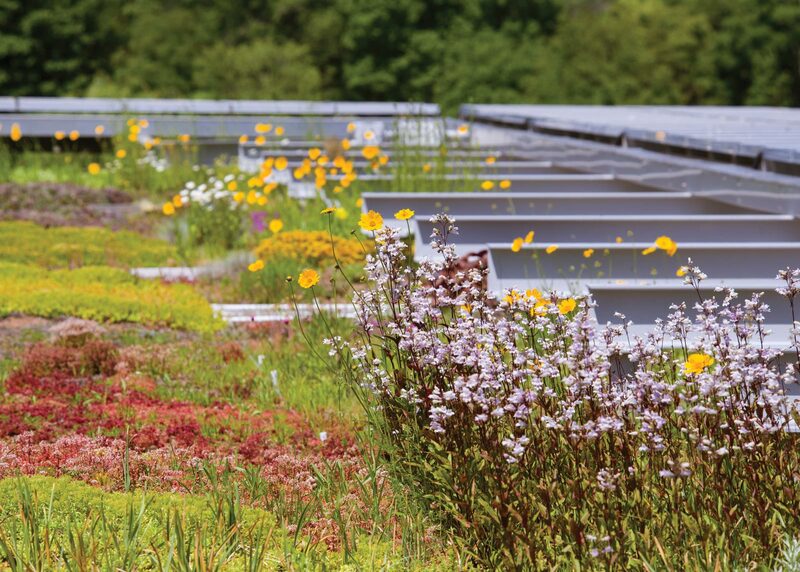 The 38,000-square foot building is elevated on pylons and allows the entire site—called the Rainwater Glen—to act as a bioswale. 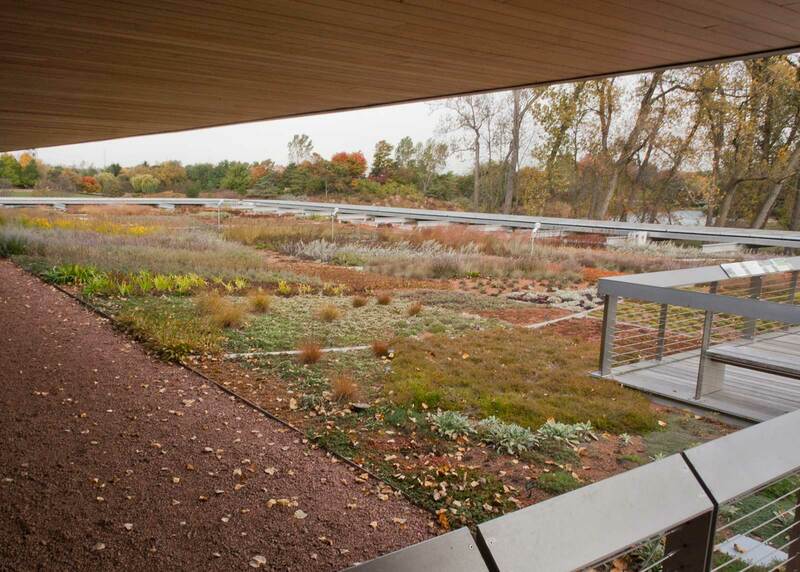 It also features a 16,000 square foot research and display green roof. 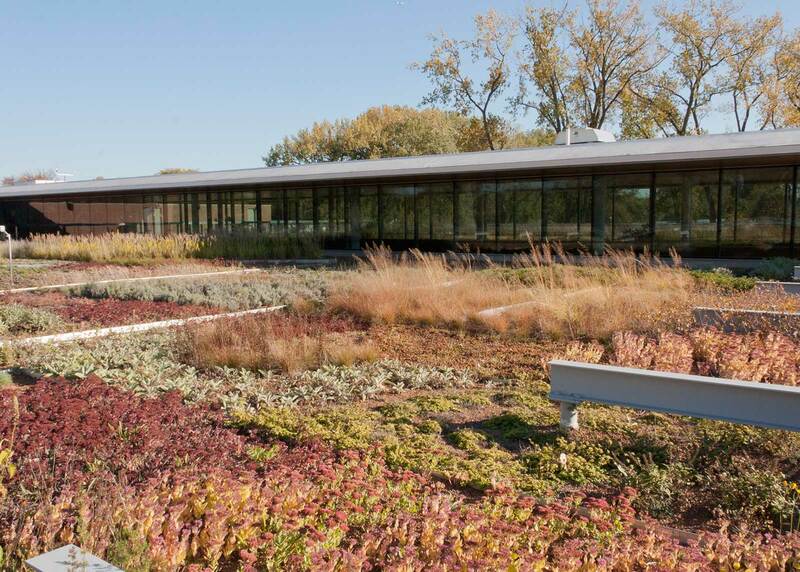 Excess rainwater not absorbed by the roof flows through the building and is released into the landscape below. Combined with surface run-off, the Glen treats 96% of the rainwater events before releasing the cleansed water into the Garden’s lake and lagoon system. 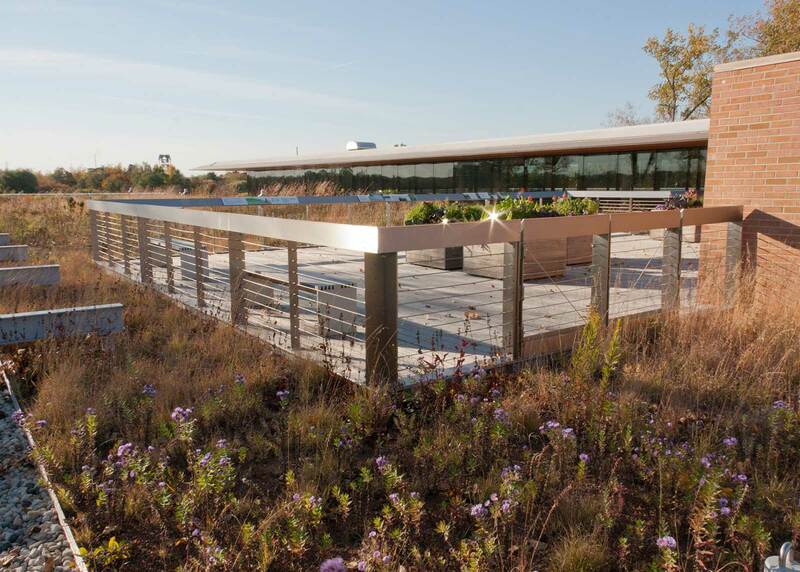 The project was awarded The Green Roofs for Healthy Cities’ Award of Excellence: Green Roofs – Intensive Institutional Award in 2012.